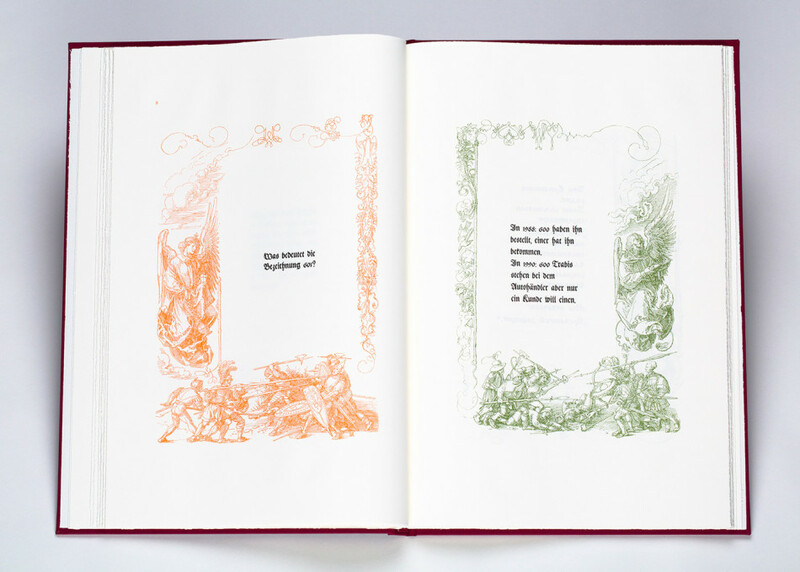 The Book of Jests is an artist book that combines religious iconography and political jokes. The iconography is sourced from Albrecht Durer’s Marginal drawings for the Prayer of Emperor Maximilian I c.1515. 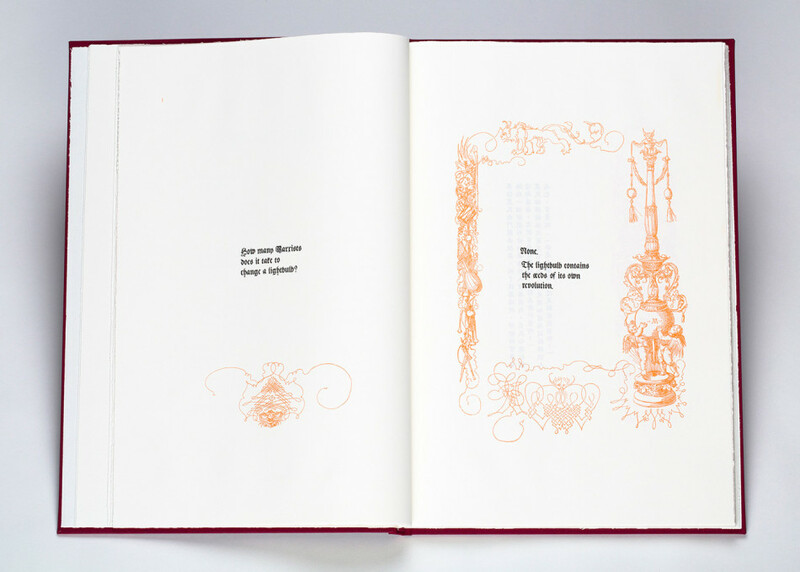 The book contains 25 jests, each printed on their original language. The series includes: English, Italian, Hebrew, Hindi, Korean, Chinese, Japanese, Spanish, Arabic, French, German, Greek, Czech, Russian and Turkish. 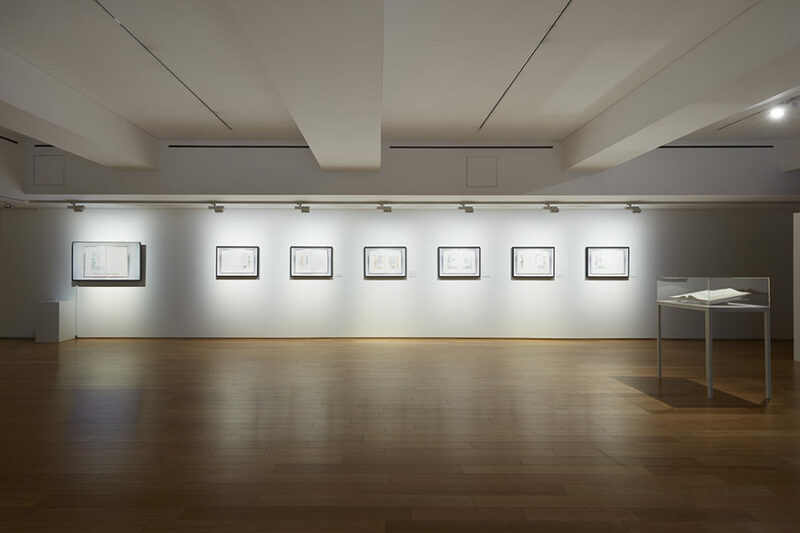 The work explores the relativity of language and the role of printing technologies in the spread of ideology through the ages. “How are my stamps selling?”, he asked. Lee Myung-Bak licked one of the stamps and pasted it onto an envelope. Q: How many Marxists does it take to change a light bulb? A: None. The light bulb contains the seeds of its own revolution. German Chancellor Angela Merkel visits Greece. She arrives at the passport control in Athens International Airport. 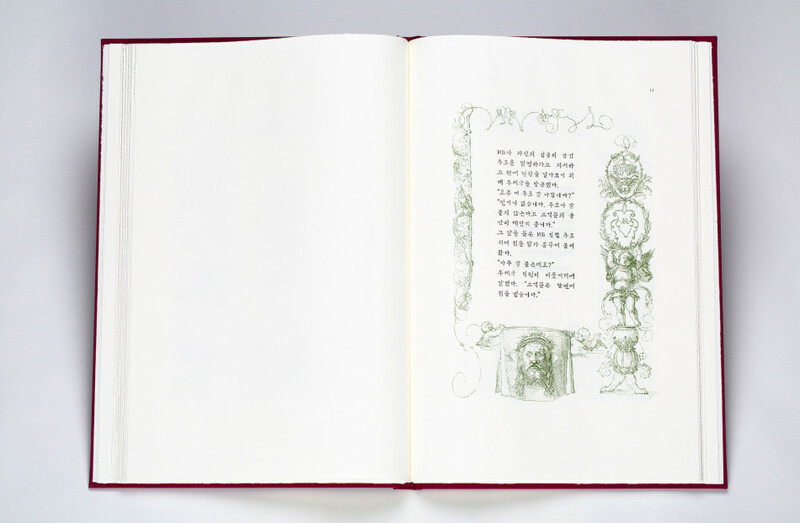 <만담집 The Book of Jests>은 성상화와 정치 만담이라는 서로 다른 두 가지 장르를 통해 이념의 역사를 다룬다. 알브렉트 뒤러의 <황제의 기도문을 위한 삽화>(1515)에서 차용한 성상화는 한때 38개 국어로 번역된 기도문으로 채워지기도 했던 드로잉이다. 판화의 전통에서 자연스럽게 드러나는 인쇄술의 역사와 이념의 전파, 그리고 여기에 겹쳐 놓은 만담은 그것의 사회적 역할, 언어와 권력의 관계와 같은 이슈를 확장시켜 나간다. 리소그라피로 제작된 책은 원어로 쓰인 여러 나라의 정치 풍자 (한국어, 중국어, 러시아어, 영어, 불어, 독어, 일어, 히브루어, 인도어, 스페인어, 아랍어, 그리스어, 이탈리아어, 체코어, 터키어를 포함)와 영문 번역과 주석으로 이루어져있다. All images copyright © Hyung-Min Yoon unless credited otherwise.